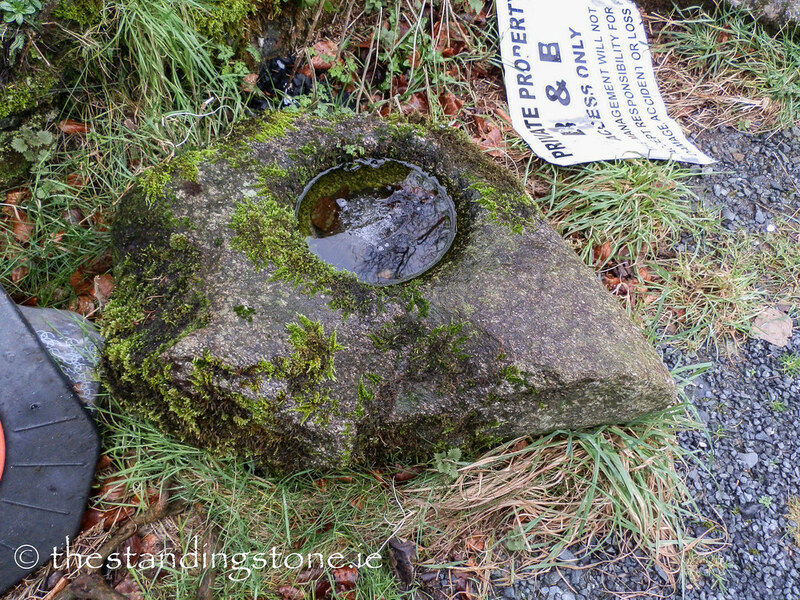 The Standing Stone: Glendalough F, Bullaun Stone, Co. Wicklow. 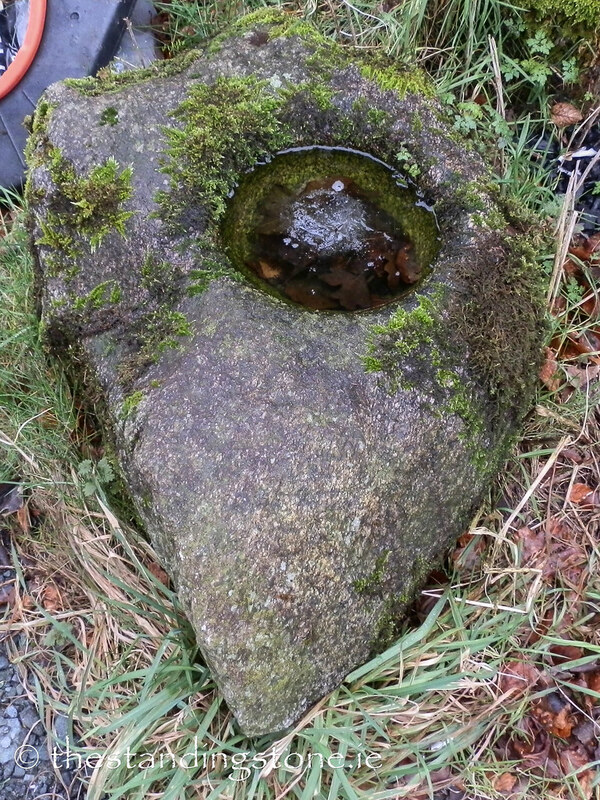 Glendalough F, Bullaun Stone, Co. Wicklow. 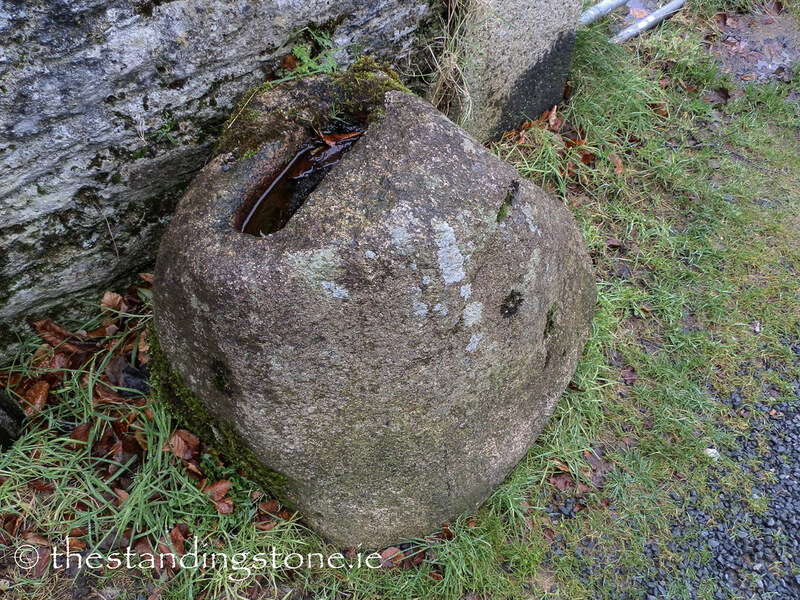 Location – This is located by the Gateway, near the carpark next to a field entrance. 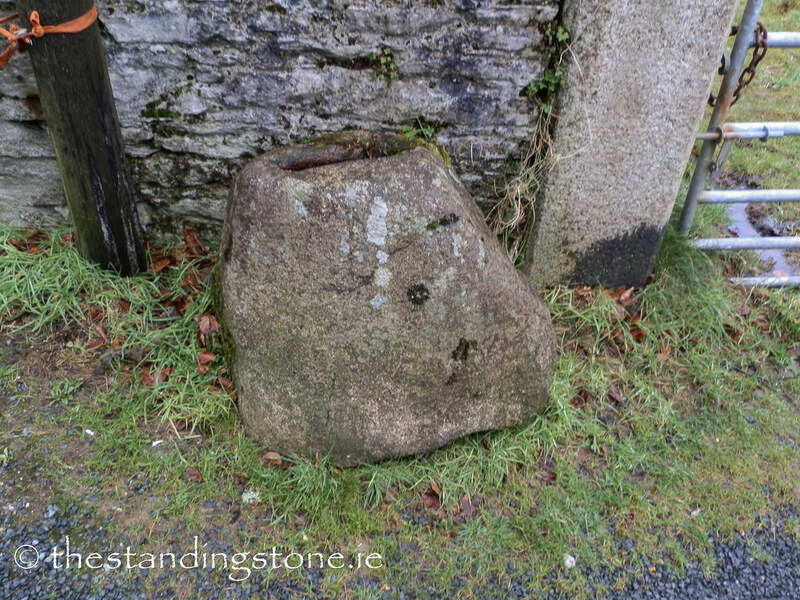 Description and History – This is a small stone near a field entrance and had a traffic cone next to it and some litter when we were there. There is also what appears to be a cross-base next to it as well. Difficulty – Easy to get to, but like many of the bullauns, it is easy to miss.